You may have noticed that your once beautifully white teeth have started to look a little different lately—they are beginning to look clear around the edges and may need orthodontic treatment. In even more severe cases, you may have one or more translucent teeth that are almost entirely clear. 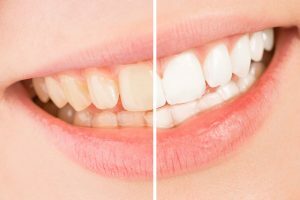 Usually, there is a pretty simple explanation for this type of tooth discoloration—through dental erosion or acid erosion (in your food) and so on. Occasionally, however, it’s caused by something a bit more difficult to explain like complicated medical conditions. However, there are a few things you can do to prevent clear teeth, or transparent teeth, and a few procedures that will improve the appearance of clear teeth that you can discuss with your dentist—and give you back those white teeth you love so much. Clear teeth are common, and while they are not always a sign of immediate alarm, they should not be overlooked. If you begin to notice that your teeth are starting to look a little translucent, you should immediately schedule an appointment with your regular dentist and, in the meantime, be sure to upkeep a regular, healthy oral hygiene routine. The enamel on your teeth is what gives them the opaque, whitish color. When this enamel is destroyed or removed, the result is teeth that are translucent or clear. There are several conditions that may result in weakened or lost enamel. Those who suffer from Celiac disease are much more prone to tooth decay and enamel loss. Some genetic conditions may result in enamel hypoplasia, or a decrease in minerals that make up enamel, often characterized by dents or grooves in the teeth, which can also result in clear teeth. Other medical factors may weaken enamel. For instance, Bulimia Nervosa results in regurgitated stomach acid and bacteria from food that promotes enamel decay. Another cause for transparent teeth depends heavily on environmental factors and oral hygiene. Some foods, especially those that are acidic, can result in enamel erosion. Poor oral hygiene is another risk factor because the failure to regularly remove bacteria from the surface of your teeth also puts them at a greater risk for enamel loss. The most obvious sign of transparent teeth is visually noticing that your teeth are becoming transparent. However, aside from not being very visually appealing, the condition may come with a few uncomfortable side effects. Generally, enamel loss, especially when it results in clear teeth, also results in thinner teeth. This means that your teeth may be noticeably more sensitive to extreme temperatures, like extremely hot or cold beverages and food. 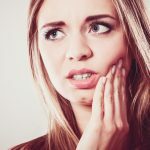 You may also get more cavities in these areas, or these areas may fracture or break more easily, simply because they are less strong than your teeth with more remaining enamel. If you recently noticed that your teeth are more translucent than they once were, you may well be concerned. However, clear teeth are usually no reason for a trip to the emergency dentist. Make no mistake, though, because enamel loss is serious and you should consult your dentist as soon as possible to prevent further damage to your teeth. As enamel is your teeth’s main line of defense from outside bacteria, it is important that you and your dentist work together to stop further enamel loss. Unfortunately, your teeth cannot grow new enamel once it is lost; therefore, there are no treatments to reverse the effects of enamel loss or change the appearance of clear teeth, aside from cosmetic dentistry options like veneers. The type of treatment that you and your dentist choose will depend greatly on the severity of the enamel decay. Veneers can be used in severe cases to improve your teeth’s aesthetics and protect the entire tooth from further damage. 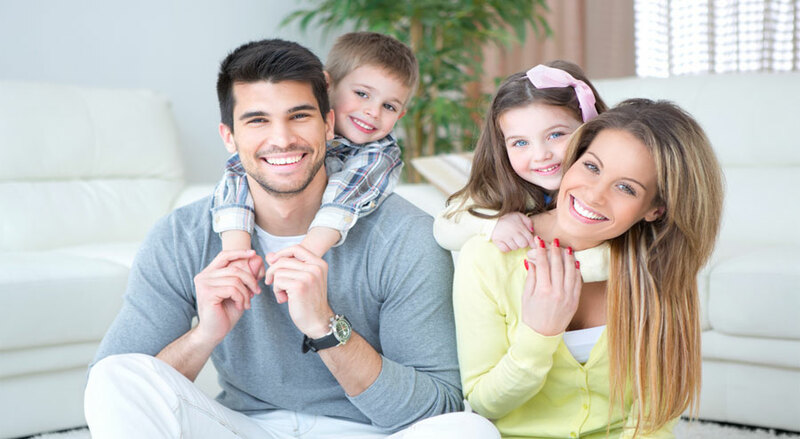 In less severe cases, though, your dentist may choose to do tooth bonding, a process where the resin is applied to the surface of the tooth and then hardened with the use of a special light. This may protect the covered area and, because the resin is often tooth-colored, it will improve the look of clear teeth as well. 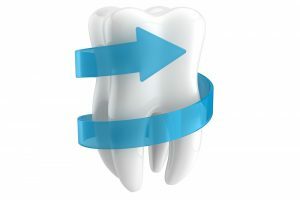 You and your dentist may work together to change your dental hygiene routine to find new ways to protect your teeth from damage, now that your enamel is weakened or lost. There are special toothpastes, rinses, and medications made specifically to strengthen remaining enamel and aid in the protection of your teeth. Can You Prevent Clear Teeth? Yes! Preventing enamel loss is important and will help you prevent clear teeth. There are several things you can do to prevent the erosion of your tooth enamel. Some of these methods may include changing your oral hygiene products, such as using an enamel protection rinse or toothpaste. You should also maintain a regular, healthy oral hygiene routine, which should include brushing after meals, at least twice a day, rinsing and flossing regularly. Avoiding certain foods, like foods high in sugar or acidic foods and drinks like certain fruit, fruit juices, and carbonated beverages can help protect your teeth’s existing enamel. Some dentists may recommend using a straw when you consume acidic beverages so that the acid skips the surface of your teeth. Other foods and drinks like dairy products, can help strengthen your teeth and prevent enamel loss. 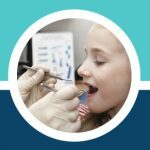 You and your dentist can work together to create a regular dental hygiene plan and determine if there are any specific parts of your regular diet that are aiding the erosion of your tooth enamel. In some cases, it is not as clear-cut as a simple issue with your dental hygiene routine or daily diet. If you change your dental hygiene routine and diet and are still noticing more and more clear teeth, you may have a greater issue, such as Celiac disease or another genetic or gastrointestinal condition. 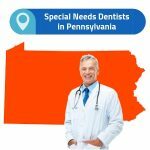 If you know that you suffer from a similar medical condition or a condition that results in enamel erosion, be sure to tell your dentist so they can treat your teeth accordingly and help you design an oral hygiene plan that works best for you. Remember that you cannot replace lost enamel so it is important that you do not wait upon noticing the appearance of clear teeth. See your dentist at the first possible opportunity to begin treating your enamel erosion immediately.